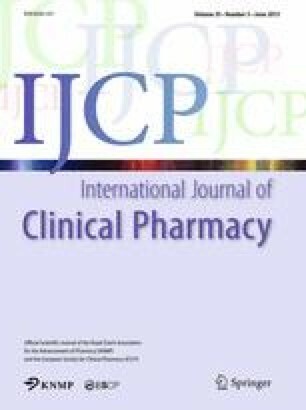 Background No published studies investigating drug-related problems (DRPs) in children visiting emergency department (ED) in either the Kingdom of Saudi Arabia (KSA) or the United Kingdom (UK) were identified. Objective To determine the frequency and characteristics of DRPs in paediatric patients attending ED in the KSA and the UK. Method An observational study. DRPs were identified by a researcher, reviewing the medical records of children attending the ED during a three-month period in KSA and a 1 month period in UK; severity and preventability of the DRPs were assessed. Incidence of DRPs overall and in each country was calculated. Results A total of 253 patients (KSA n = 143, UK n = 110) were included. Fifty-five patients (22 %; 55/253), experienced 69 DRPs. 2 % (5/253) of the patients attended the ED due to DRPs. Overall incidence was 21.7 % (95 % CI, 16.8–27.3). 78 % (54/69) of the DRPs were assessed as preventable; 33 % (23/69) as of moderate severity. Conclusion DRPs were common in paediatric patients attending EDs; the majority were preventable. Further study is needed to investigate the impact of mild and moderate DRPs on paediatric patients’ health and also to improve the care provided to minimise the occurrence of preventable DRPs. The authors wish to thank Dr Ahmed Attar at KSA site and Dr John Jackman at the UK site for their help with study implementation and data assessment. Asia Rashed was funded by the Yamani Cultural and Charitable Foundation, London, United Kingdom. The study in the UK was funded by Neonatal and Paediatric Pharmacists Group (NPPG) Man-Med award 2009. Pharmaceutical Care Network Europe (PCNE). 2006. Available from: http://www.pcne.org/sig/drp/documents/PCNE%20classification%20V5.01.pdf Accessed 22 July 2012.